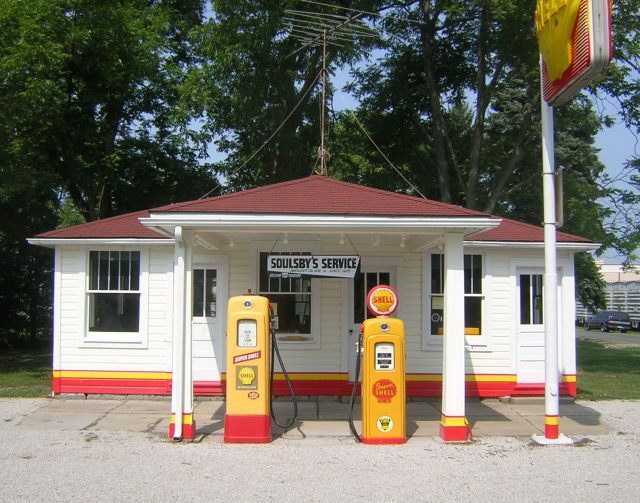 The famous Soulsby Shell station in Mt. Olive, Illinois. 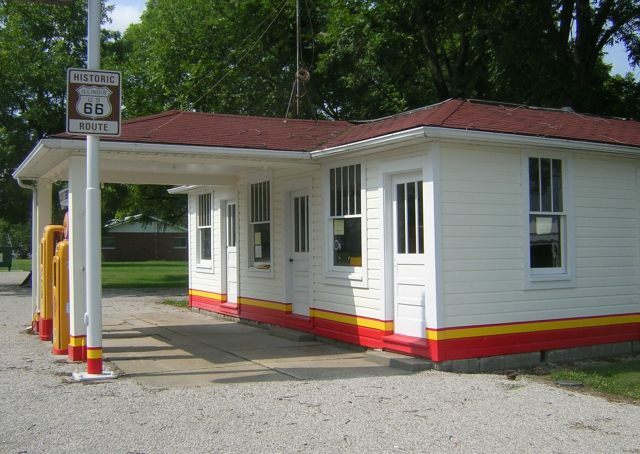 Route 66 between Litchfield and Staunton Illinois. for 65 years. Photo taken 7-19-2004 by David Backlin. 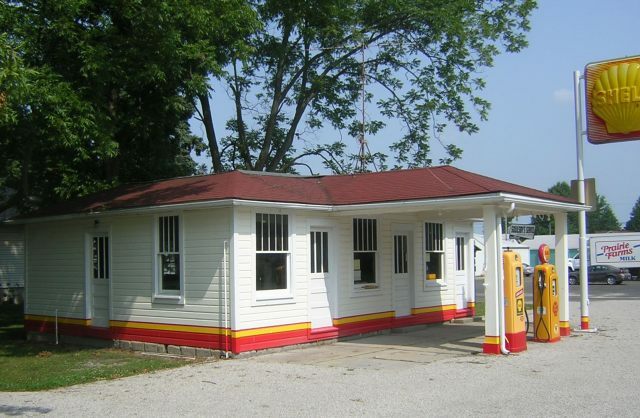 Another view of the Soulsby Shell station. From Dave Backlin, July 19, 2004. Last view for now. Again from David Backlin, July 19, 2004.